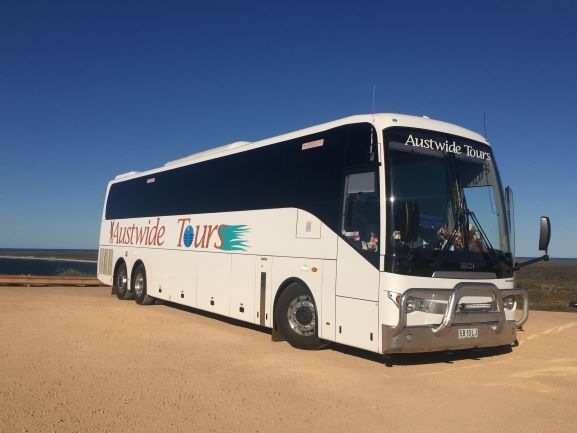 Join Aust-wide tours in a fun filled day traveling to Tailem Bend We visit The Big Olive in Tailem Bend for morning tea and a talk about olive oil processing and other olive products including black and green olives, tapenade, soaps and hampers. Moving onto The Bend Motorsports Park, The Bend Motorsport Park is one of the most significant developments in Australian motorsport history. A state of the art, world-class motorsport facility, The Bend delivers an exhilarating experience for competitors, enthusiasts and spectators alike. Here we will have lunch over looking the main straight. We have an informative talk about the Sports Park and buildings with time for a wander about.